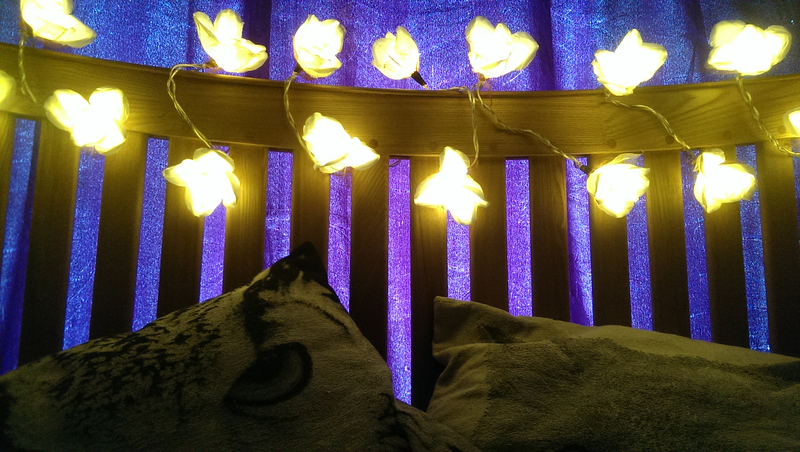 Combating Back to School Stress with Blaze On - Reclusive Fox ""
Today I want to share my review of the gorgeous Chelsea Rose White Bouquet 20 LED fairy lights I was sent from Blaze On. These are top quality fairy lights that are so delicate and beautiful it’s hard to tell the difference between these lights and the real thing, apart from the fact that one lights up and lasts for up to ten years and the other doesn’t! Everything from the packaging to the lights themselves screams high quality. I have had other lights in the past and they really pale into comparison. 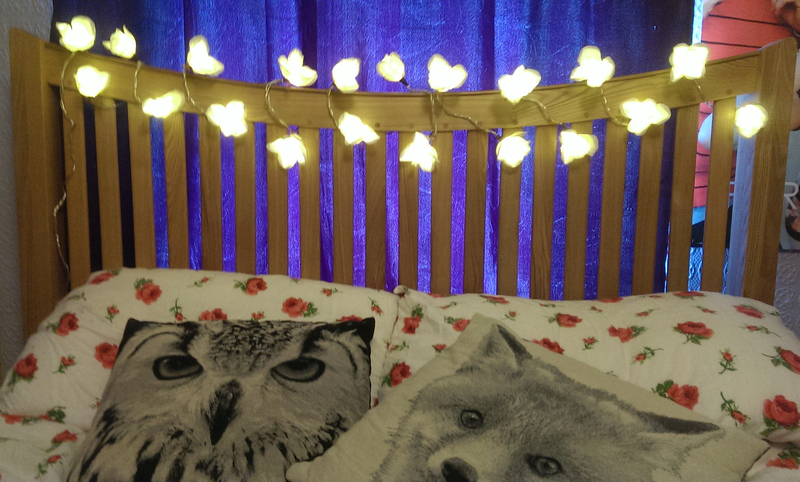 While I adore these lights I felt it was only fair to pass them over to my teenage daughter to review. Elle has been asking me for lights for quite some time now and with the new school term starting I felt these would be perfect in her room. The idea is to provide her with a beautiful sanctuary where she can relax after a long day at school and homework. Blaze On have created something truly beautiful. 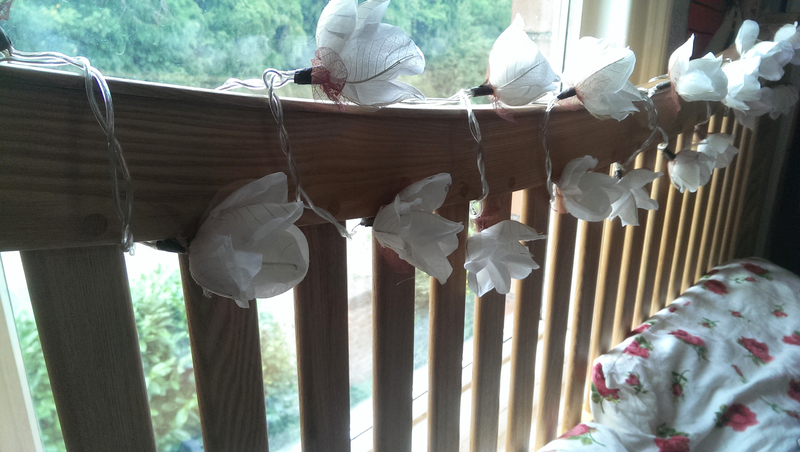 As you can see in the photos we managed to wrap the roses around the headboard to create a floral crown for the bed. The light they give off is perfect, not too bright yet bright enough for Elle to draw by and even read by as she’s winding down. As an added bonus the stunning roses come closed and you can leave them like that, or you can open the petals to your liking. This is achieved thanks to the use of a floral wire that is positioned in-between the mulberry paper and the rubber leaf frame. We both love this feature. When I was helping Elle to thread the lights through the headboard we kept them closed (it wouldn’t have been possible to do if they were permanently open) and then we opened them out. Another feature worth mentioning is the distance that is provided between the plug and the first flower and the fact that the wiring is clear. 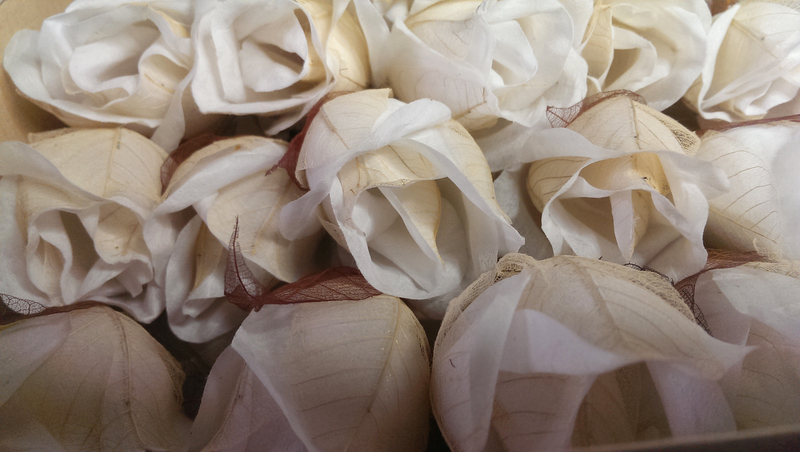 It measures 2 meters and this length is perfect to create a beautiful display. There’s another reason why I was so thrilled when I was given the chance to review these lights. Elle is suffering with migraines. We had an appointment with the paediatrician on Thursday to double-check that they are migraines and it was confirmed. So for now she has to cope with dizzy spells throughout the day along with head pains. Elle is on medication and has been for a few months now and this medication tends to knock her out in the afternoons/early evenings. Now to relax Elle loves to light candles but as a worry wart mother I don’t let her do this if she’s yet to have her nap, if I’m not in the house and she can only light them if she tells me first. The Chelsea rose fairy lights give us that perfect meeting ground where she is able to create stunning and relaxing low-level lighting without me panicking that the room is going to catch on fire! We’ve had the lights for about a week now and I’ve not noticed any downsides. They don’t get hot so I don’t need to concern myself about that. 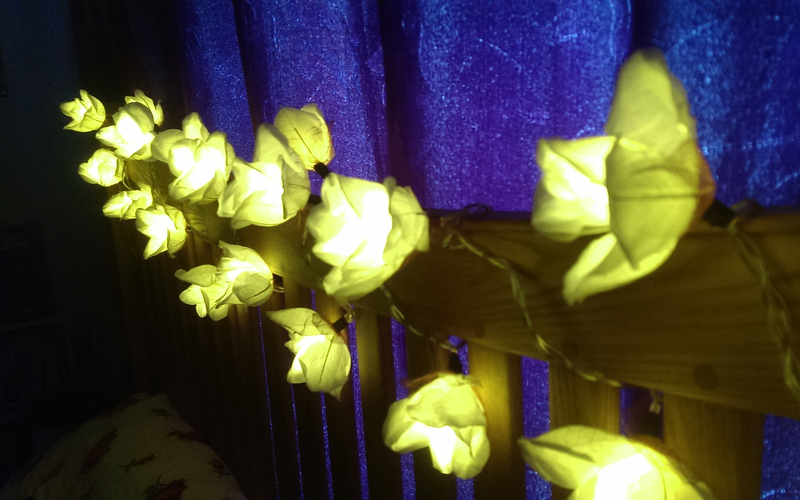 The level of light emitted creates a heavenly glow in her room and even when the fairy lights are turned off they still look gorgeous, adding a real feature to her room. Blaze On has plenty of lights to choose from at different price ranges. The Chelsea Rose 20 LED White Bouquet retails for £28.90, which might seem expensive but I would happily pay that amount. They will last for a decade and are so well crafted I believe it’s money very well spent. Elle is delighted. She is able to come home and forget about her day, draw in her art pad and listen to the radio in her own private sanctuary. We both give the lights five out of five. We really can’t ask for more and the fact that Blaze On is an ethical company is the icing on top of the cake. 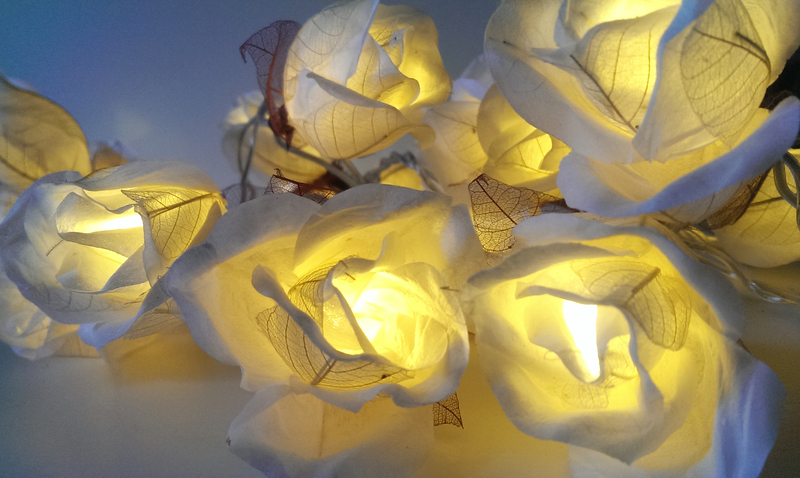 I was sent the Chelsea Rose 20 LED White Bouquet Fairy Lights to review but all thoughts and opinions belong only to Elle and I.